These books will inspire your family and friends to spend 2017 outdoors. 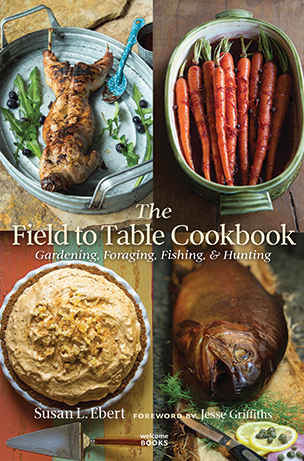 You don’t get far into The Field to Table Cookbook: Gardening, Foraging, Fishing, and Hunting before you realize this book isn’t just about venison sausage recipes or how to grill redfish. Talk about painting a picture with words. But it’s not all poetry. Ebert gets down to the nitty-gritty of how to butcher hogs and pluck doves, as well as useful information on license requirements and bag limits in Texas. Still, the book has a lovely way of meandering through the seasons while bringing together what’s available each month: which hunting or fishing seasons are open, which vegetables will be ready to harvest, what food you can find in the wild. Take June: You can cook sunfish in fat from ducks you harvested in winter, add a side dish of your garden’s summer squash, and top it all off with ice cream showcasing foraged elderberries. Cooking this way takes time — a lot of time — so why go to all that trouble? It’s about the desire to “feed my loved ones the cleanest, healthiest food. I can, and to take personal responsibility for the life of the animals that grace our dinner table,” Ebert says. As it does for many hunters, that personal responsibility can come with the conflicted feelings she reveals — loving the hunt but sometimes mourning the animal; feeling reverence for life but being honest about our role in the food chain. Taken as a whole, it’s a cookbook that’s also a graceful argument for protecting habitats and conserving wildlife, even as we harvest it — a book that can appeal to everyone from the most experienced outdoors enthusiasts to those who have no plans to fish in the Gulf or hunt down wild persimmons. It’s at once practical, philosophical and celebratory. Need inspiration on where to go for your next trip? 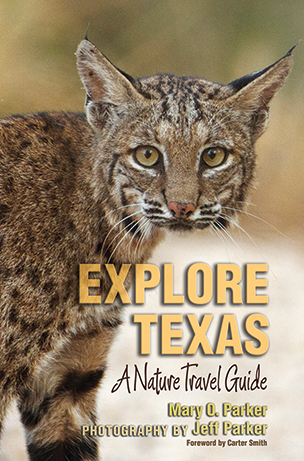 Explore Texas: A Nature Travel Guide by Mary O. Parker and Jeff Parker is guaranteed to make your travel wish list blossom. What makes this travel guide stand out is the information on plants, animals, geology, astronomy and more that make each location special. A suggested fall foliage drive in East Texas tells you not just a route to take but what to look for — in this case, the multicolored leaves of the sweetgum. You’ll also learn about the pigments that create those gorgeous colors and that the sap has been chewed as an oral antiseptic. The when-to-go tips will help you time your travel to the migration patterns of whooping cranes, for example. If you love to be outdoors, Explore Texas will make sure you don’t miss a thing. 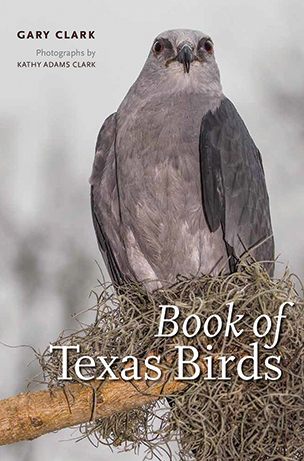 Book of Texas Birds identifies more than 400 species of birds found in Texas. Author Gary Clark, drawing from his years of studying birds, writes about his own encounters with various species, interesting facts, history and threats the birds may be facing. Each bird’s entry also includes diet, voice, nesting and location information. Entries are accompanied by the stunning photography of his wife/partner Kathy Adams Clark. Book of Texas Birds is perfect for anyone who wants to learn more about Texas birds, whether those at the bird feeders or those that are rarely seen. 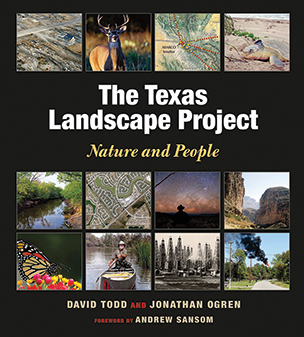 David Todd and Jonathan Ogren’s Texas Landscape Project is a treasure chest of a book covering Texas environmental history and current conservation issues. When you open the wide-ranging volume, wonderful things keep spilling out. As much as anything, it’s a book of maps. Readers can spend hours engrossed in the fascinating array of maps and visuals covering topics such as Gulf of Mexico ship traffic, artesian springs along frontier trails, the size and age of Texas reservoirs and the extent of Texas’ original grasslands. As the authors state, the book is an exercise in visual storytelling. It’s an account of Texas places compiled from databases, maps, aerial photos and charts, and told through compelling chapters on eclectic topical issues. Did you know that more than 9,600 Texans are trained as Texas Master Naturalists? This corps of naturalists provides teaching, outreach and service to our communities, functioning as the backbone of many conservation organizations promoting natural resource stewardship across the state. This year, the curriculum that trains the state’s best outdoor educators takes on book form for the first time and is available to anyone, even if you don’t have the time to commit to the certification course. Each chapter covers a major natural topic such as archeology, ecological regions of Texas, geology, Texas water resources, ornithology, mammalogy and rangeland management. 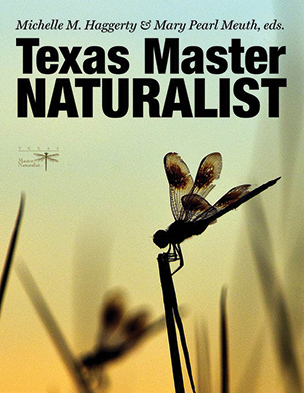 This book is one of the most comprehensive on Texas natural history and the basis of an award-winning statewide program.